P.S. If you are planning on attending our biennial convening CommonBound and need financial assistance, please apply for a scholarship before April 30! South Side Co-op Endures: People of color in Chicago have long suffered discrimination, violence, and exclusion in the housing market. It was particularly bad in 1967, one year before the federal Fair Housing Act passed, when the London Towne Houses Cooperative was founded. Fifty years later, the co-op continues to thrive as an affordable, safe, and vibrant example of what the housing economy could look like. Taxi Co-ops > Ride Sharing: Long hours, low pay, and little to no benefits. Yes, we’re talking about Uber and Lyft. Can we do better? Yes, and many are. Owned and operated by the drivers themselves, the taxi cooperative model has taken off in Portland, Denver, Madison, Montreal, and Seoul. Learn more in this Shareable article. People’s Credit Union: The New York Times profiles the scrappy and influential Lower East Side People’s Federal Credit Union, whose CEO Linda Levy is retiring at the end of April. Read their story here. 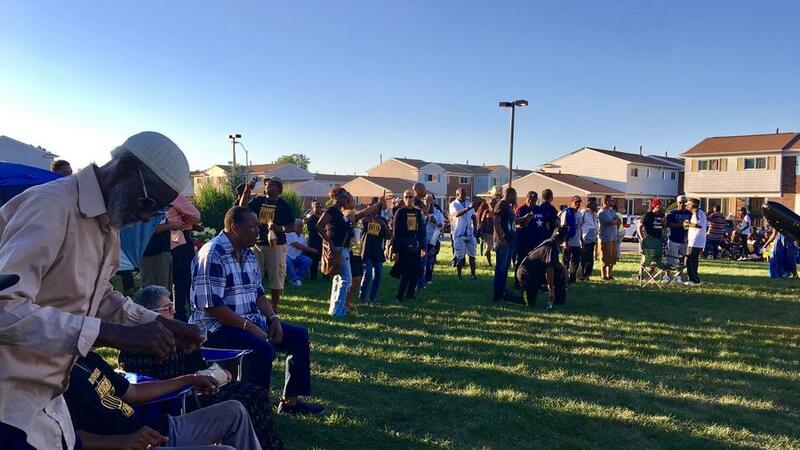 Land Trusts in Philly (and beyond): In the face of gentrification and the housing affordability crisis, communities like Philadelphia’s Eastern North are looking at collective land-ownership models like community land trusts as a solution. Check out this piece in Curbed. 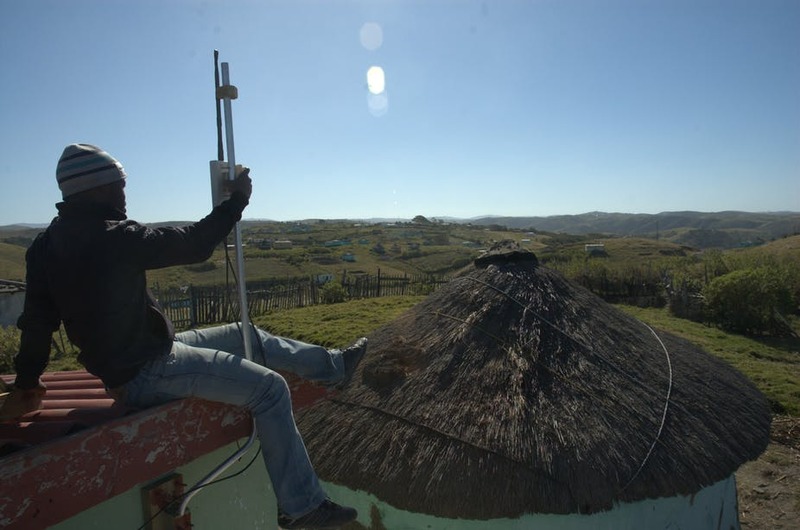 Rural Internet Co-op in South Africa: Zenzeleni means “do it yourself” in isiXhosa. It’s also the name for South Africa’s first and only Internet Service Provider owned and run by a cooperative. Operating in Mankosi, a remote rural community in the Eastern Cape Province, the Zenzeleni Networks project keeps prices low and the money flowing back into a community that really needs it. Read more. Regulate the Urban Commons? It’s often illegal for citizens to improve their city’s parks, streets or buildings. One Italian city, Bologna, is trying to solve this problem by introducing a legal and administrative framework for residents to care for the urban commons. Learn more here. The Democracy at Work Institute, a NEC member organization, is launching the School for Democratic Management, where you can hone skills and learn best practices in democratic leadership from experienced worker cooperative managers at Equal Exchange, New Belgium Brewery, Union Cab of Madison and more. At the School for Democratic Management, managers will learn road-tested tools to build strong participatory ownership culture. Courses will benefit non-profit managers interested in expanding participation, sharing power and instituting values. The material covers best practices used in both cooperative and conventional business. In January of most years, the President delivers a State of the Union Address highlighting the past year and suggesting priorities for the coming year. It’s a broadcast from one to many. But democracy is a conversation, not a monologue. 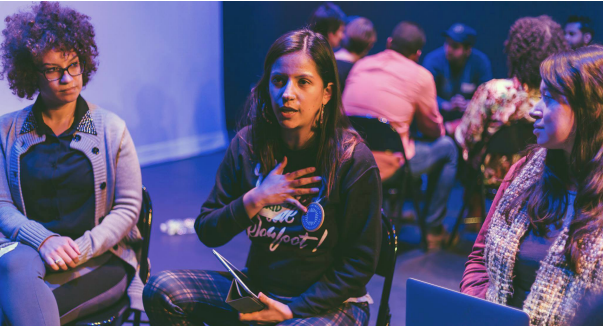 The People’s State of the Union 2018 was a nation-wide Story Circle and a collaboratively composed Poetic Address to the Nation, performed and broadcast live by an amazing line-up of playwrights, poets, and musicians. The PSOTU is organized yearly by the US Department of Arts and Culture, an NEC member organization. Watch the recording and learn more here.